With over 1,700 organizations actively involved in a project to move into SAP S/4HANA, the need to migrate large volumes of data from legacy systems in a simple and effective way has never been greater. SAP has fully aligned its product vision with the concept of postmodern ERP, a strategy where you no longer rely on a single system and vendor – you use best of breed (typically cloud-based) solutions to complement your ERP system. In this approach, S/4HANA is the core for all your data-driven processes, surrounded by cloud-based systems that enable new and innovative business models. 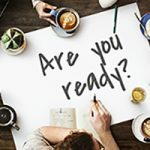 Data in the digital core, especially master data and accounting data, will connect all of these systems together. To take advantage of new trends like real-time analytics for better decision making, companies can no longer afford to enter the wrong data into SAP and cleanse it later. You need to get it right the first time. 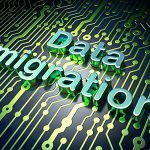 Standard migration solutions come at a high cost, require specific technical skills, and often don’t do anything to ensure the data you’re migrating is correct or complies with the business rules of the new system. Once the migration is finished and the developers leave, any additional objects that weren’t included in the original scope can be very disrupting and costly for the business (maintaining the existing ones can be costly too). Companies often take an IT-centric approach to data migration that involves guesswork and assumptions that don’t come up until very late in the project when data fails to load properly. That’s why engaging the business is a critical success factor. Business users understand the business rules and can resolve data quality issues effectively. Making these key resources available from an early stage is vital to the success of your migration project. 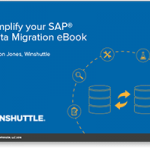 Winshuttle offers a business-led approach to automating data upload and extraction in SAP using Excel, allowing end users to stay engaged throughout the migration. This empowers the business to maintain ownership of data, and become familiar with the new system so they can make continuous improvements and optimizations when the migration project comes to an end. In the past, users had to go through multiple transactions for any particular SAP business process. The new approach for SAP S/4HANA follows the “principle of one” rule where S/4HANA offers a single solution for a business requirement. As part of this simplification, the biggest change without a doubt is the Business partner approach. Business partners are now capable of not only centrally managing master data but also customer and vendor data. This means that traditional specific transactions for maintaining customer and vendor master data are no longer available in S/4HANA. All the popular transactions like XD01, XD02, XK01, and XK02 are gone, and the business partner becomes the single point of entry for creating, editing, and displaying master data for customers and vendors. To give you an idea of the impact of this change, our customers used these transactions to create or change over 200 million customer and vendor records in SAP last year! Winshuttle offers a modern and S/4HANA certified alternative that allows you to delegate your migration efforts to the business users who are responsible for the data. With Winshuttle, you can easily extract data from your old SAP ECC system directly into Excel, where you can comfortably work on cleaning data. As part of your migration, you might need to move thousands of objects like vendors and customers that were introduced years ago when your business rules were completely different. Your new system will probably have new checks, balances, and validations that have been added by you or SAP, so you’ve got to amend the data before completing the migration. Once all those changes are made in Excel, you can validate it against SAP before uploading it into your new S/4HANA system. Watch how you can easily migrate mass volumes of customer and vendor master data directly from Excel into S/4HANA, with real-time validation to ensure you get your data uploaded right the first time. See how SAP users can build a no code automation template in S/4HANA for data migration, or any ongoing data maintenance task across any the business by watching our recent webinar on SAP S/4HANA and Seamless Data Migrations.